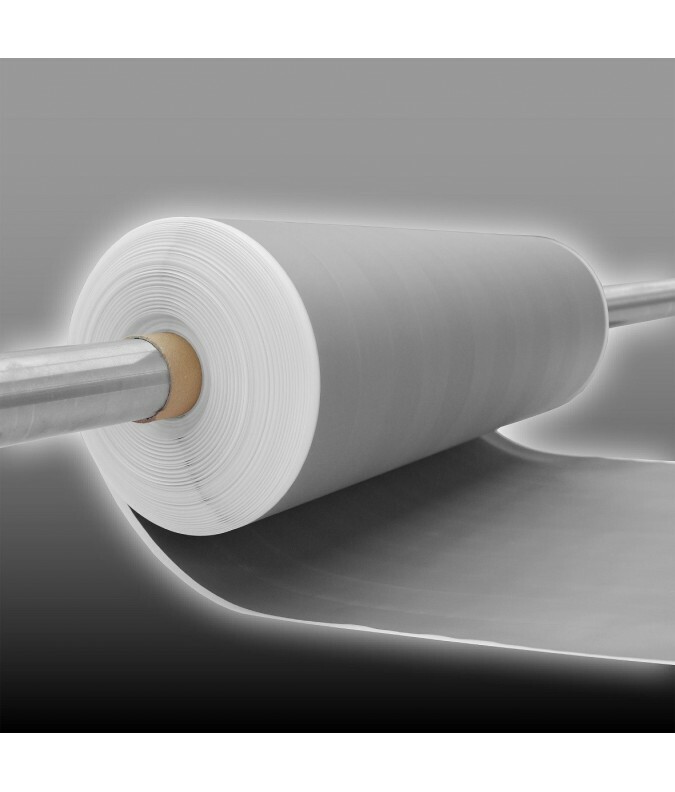 MCL61 is novel magnetic shielding film made from an amorphous cobalt alloy for shielding of low-frequency magnetic fields. 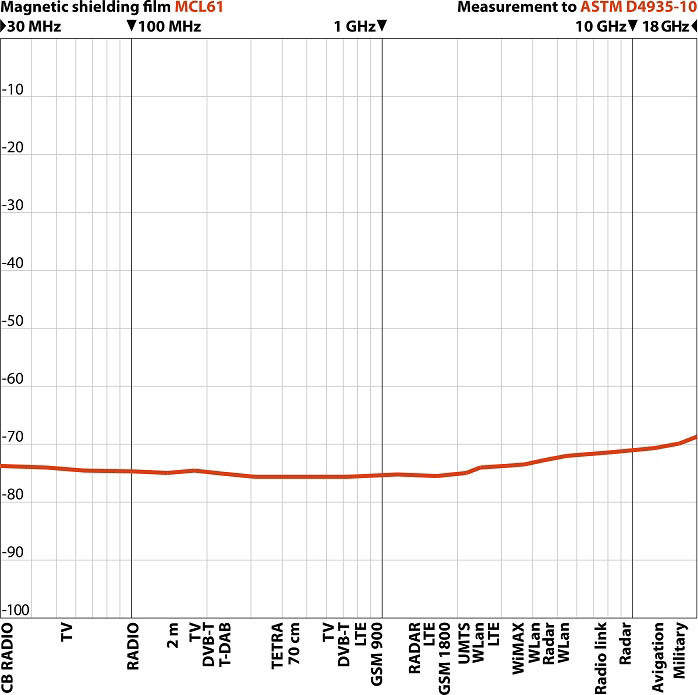 Also shields low-frequency electric fields (LF) and high-frequency fields (HF). In comparison with MUMETALL® new MCL61 has many advantages: MUMETALL® is soft and sensitive, on bending, to shocks and on processing it looses the attenuation very fast. The cobalt strips in our MCL61 are flexible but hard even at small bending radii. 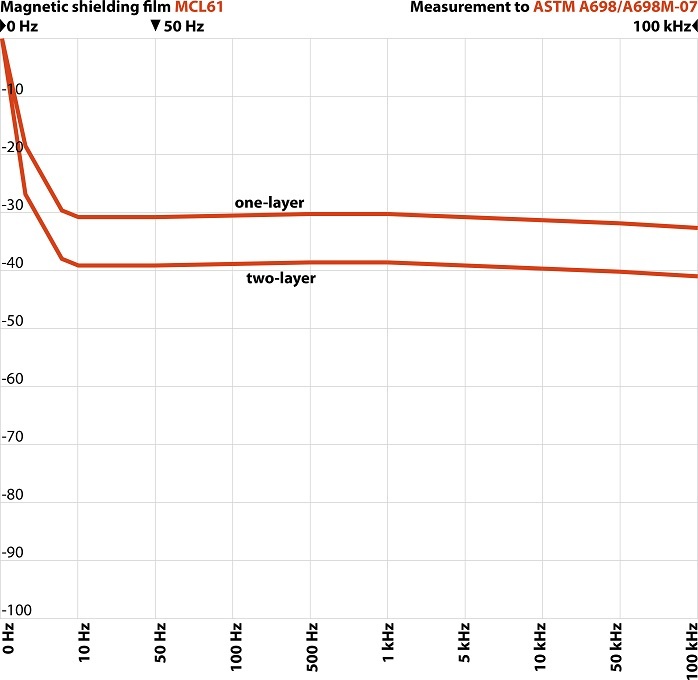 The attenuation remains constant even at high mechanical stress. Because the cobalt strips are only 20 µm thin, 50 mm width and sharp like a knife, we laminate it for protection. Due to the lamination MCL61 is corrosion-resistant even in humid environments. With a width of 61 cm big areas are shielded faster compared to 15 cm width MUMETALL®-strips. MCL61 can easily be cut with scissors. Warning: The cutting edges are sharp like a knife! Important: It is difficult to glue the film free of creases, best cover the area with solid wall coverings. Wall, ceiling, floor: Best use a high-viscous assembly adhesive, that adheres to non-absorbent substrates. Smooth the glue, lay up the film, smooth with a pressure roller or squeegee. The sheets of MCL61 should be overlapped, level out the overlappings, paint it over with any commercial synthetic dispersion paint. Please pay attention that the film is a steam brake on wall areas! MCL61 is electrically isolated. To ground it, every strip has to be screwed with a chopper disk, that penetrates the polyester film. The grounding set MCL contains all for 10-20 strips. Please note: This product is cut off according to your specifications, a return or revocation is not possible.